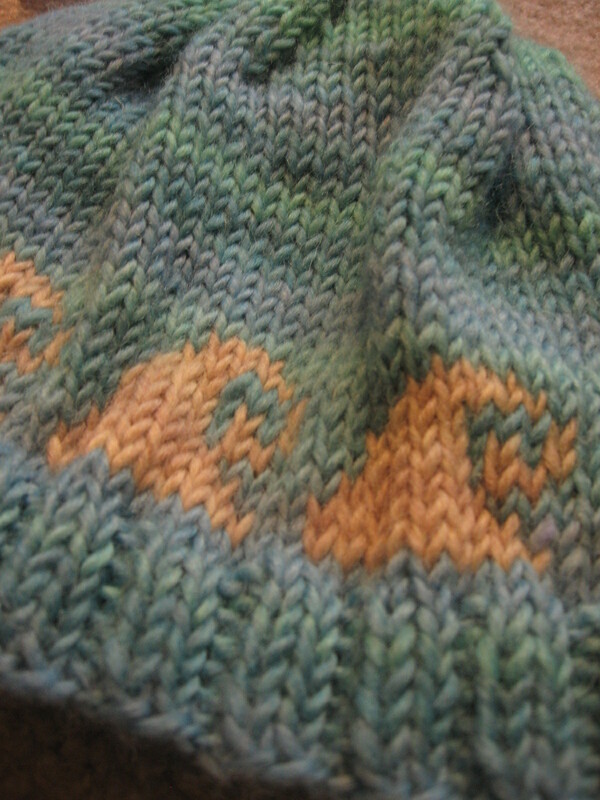 Also, in design news: I’m working up 2 versions of the Earthbender Hat for a class in the HPKCHC. 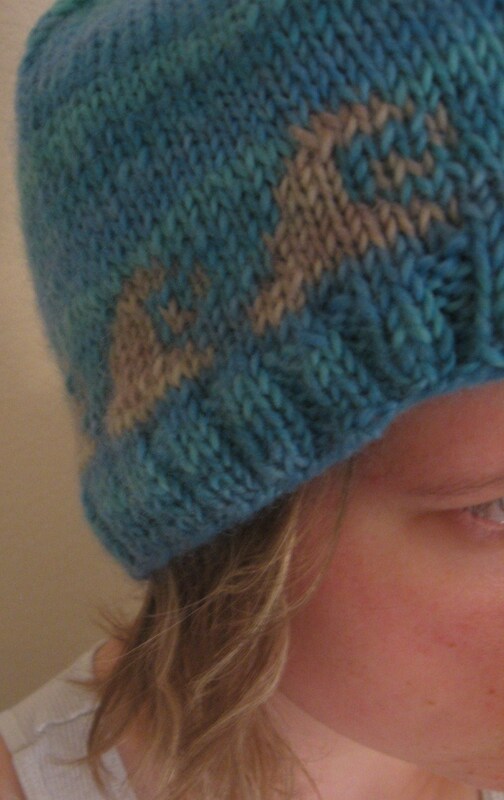 Those patterns will be posted (if not in PDF form, then definitely in a blog post) before the end of the month! Okay, let’s be honest here, yall. I AM NOT A REAL ADULT. I may fake it on the outside, but inside … I am an awkward, quirky, obnoxious little child. So when my dear roommate Jessica suggested we start watching an older Nickelodeon show called Avatar: The Last Airbender, of course I consented. It was animated, for chrissakes! I couldn’t pass it up. 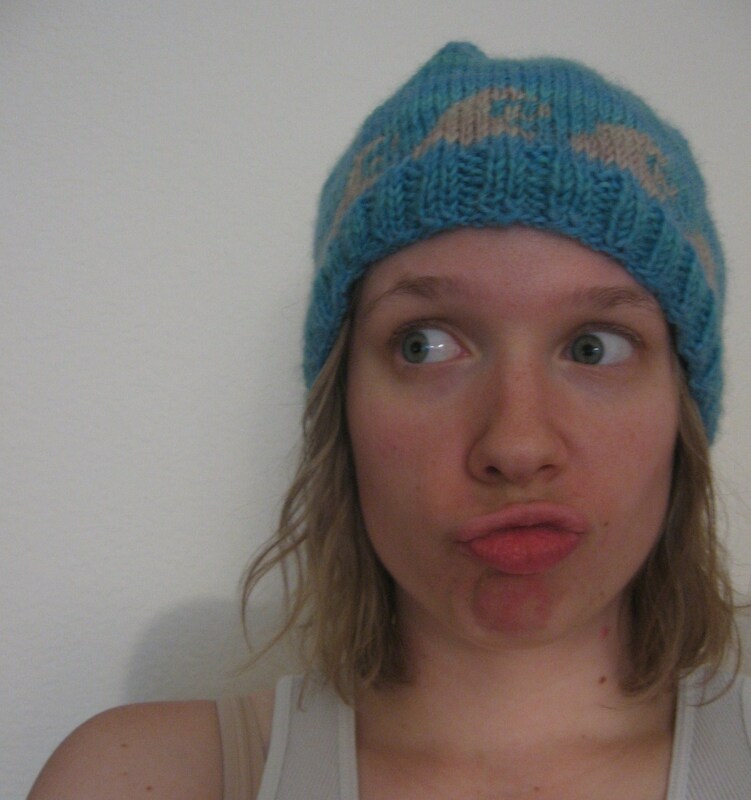 So, obviously I started thinking about knitting something related to the show. There are 4 different types of Benders in the show: Water, Earth, Fire, and Air, to correspond with the 4 elements. The Avatar, Aang, who is angsty about saving the world, is the master of all 4 elements, and he has to use them to defeat the Fire Lord, who is trying to take over the world. In order to master all 4 elements, Aang must learn them all in a specific order. Aang is an Airbender by birth, so he has to learn Water, Earth, and Fire in that order. I decided to design a set of 4 hats to correspond with the different Bending styles, and I decided to do it in the order that Aang has to learn the other Bending styles. 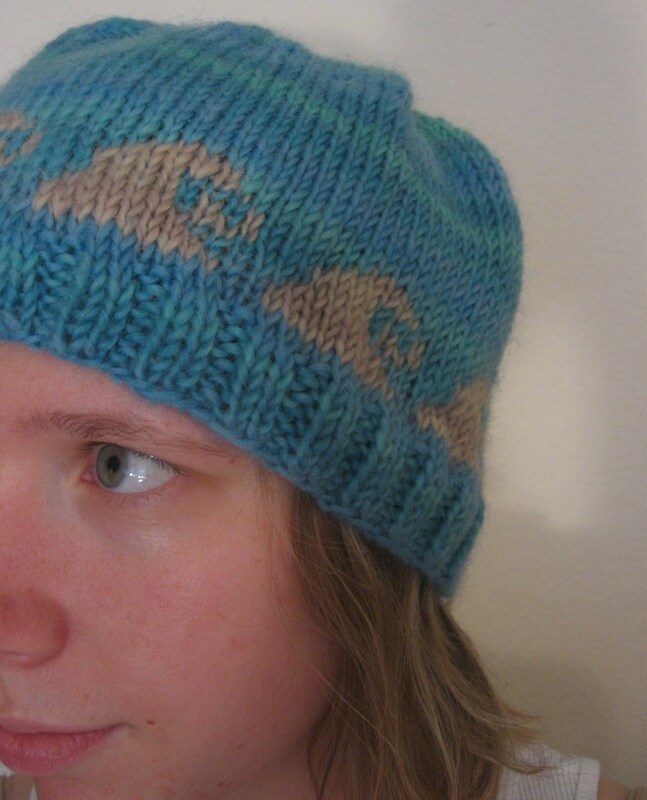 Aang had to learn Waterbending first, so it’s the first hat I designed. 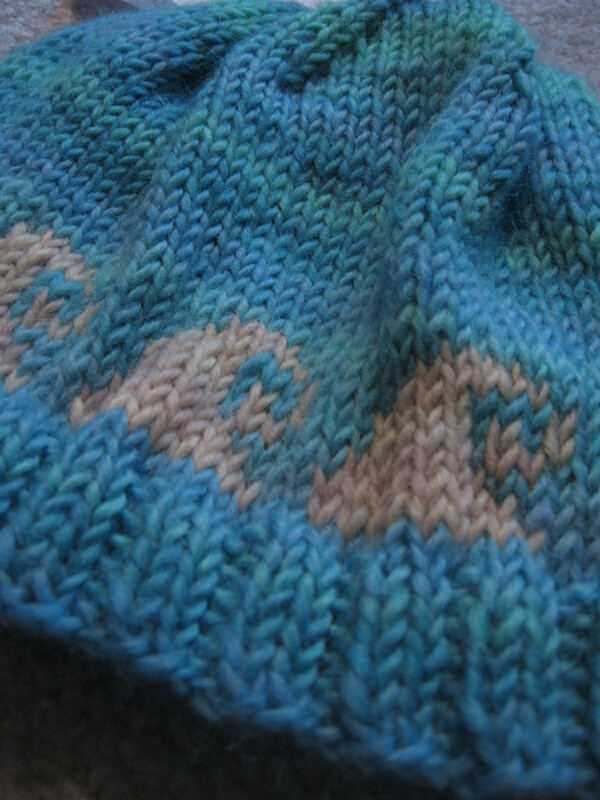 I used half the chart from Knitty’s Swell for the waves. 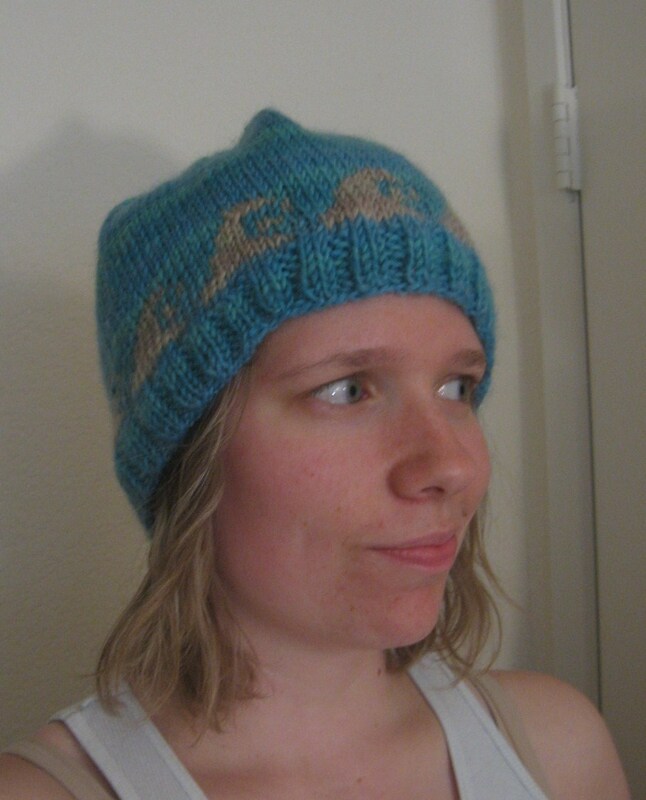 I used Poems again (because apparently, I am obsessed) and clever readers will already have realized that the MC is the same as the one I used for my IRK hat! So, Water is done. Earth is next, and I need to do some practice before I get started on it. I have an awesome idea for the Earthbender hat, but it involves using a technique I’ve never done before, so practicing is necessary.